Your reasons for taking up yoga can be various – personal practice, self-healing, professional choice, or just aiming at a better mind, body, soul balance. 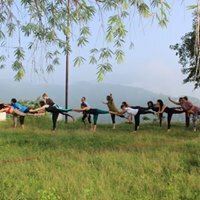 No matter what your excuse is, a 200 hour yoga teacher training is an assurance that you will get the required learning and aid to carry on with your yoga practices for life. 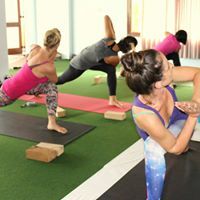 A yoga teacher training course such as a 200 hour YTTC program welcomes all levels of practitioners – from beginners to those who have been following the yogic way of life for years. Yoga, as we know, has been described a life-transforming science and has proven to produce the most profound experiences for yoga practitioners. Meet people from different walks of life with the same mindset as yours and immerse yourself in the practice of a divine science that will gift you with an improved and renewed mental, physical, and spiritual self during a four week YTTC. Not only will you graduate with a yoga alliance certification to teach, but a heart full of memories to be cherished for a lifetime.